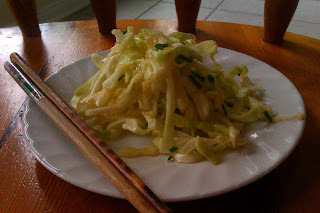 Raw green cabbage is inexpensive and healthy. Here is a nutrition chart for you to consult. 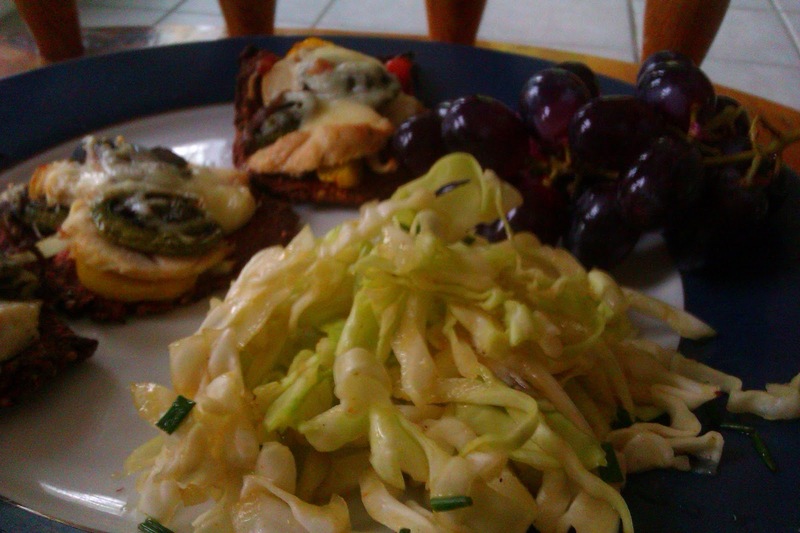 I recently decided to either juice or eat raw cabbage daily as I continue serious detoxification efforts. This cruciferous vegetable contains fiber, sulphur and vitamin C which are antioxidants. It also holds considerable amounts of minerals. various vitamins and electrolytes. Although it doesn't seem to contain sugar, it gives me energy. It can cause gas and uncomfortable bloating for some people. I have been told that it is beneficial for celiacs and people with skin conditions as it helps to rebuild our damaged intestinal tracts. 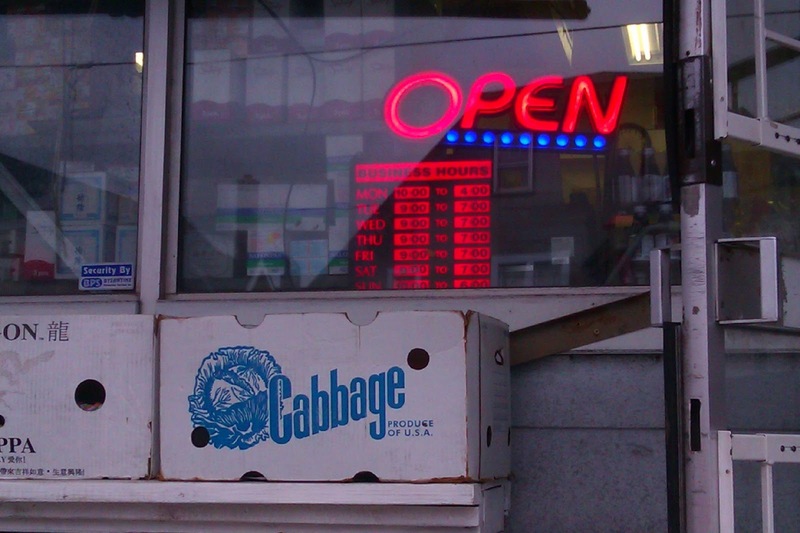 Read about other benefits of cabbage on this page. Since then, I've been mixing it in with my spinach salads, juicing and dehydrating it (see my vegetable pulp cracker recipe). The time has come for some serious cabbage PAZZAZ! So here is my Seriously Simple Sesame Slaw recipe. It's lemony, with a curry twist. Place all ingredients in a large container, cover, shake and refrigerate, allowing flavours cohabitate and mingle for an hour or so before serving. Meal idea: serve with a bunch of red grapes and beet cracker bakes or with your favorite rice paper or nori julienne vegetable wrap. For this photographed meal, the crackers are topped with raw onion, raw sweet yellow bell pepper, sliced cooked chicken breast, leftover stir fry (fiddle heads, red bell pepper, garlic, onion, portobello mushroom and balsamic vinegar) and finely grated old cheddar cheese before being baked in the oven just long enough for the cheese to melt.